Brother Stefan Franczak, a monk who for more than 50 years has been gardener at the Jesuit Theological College in Warsaw. 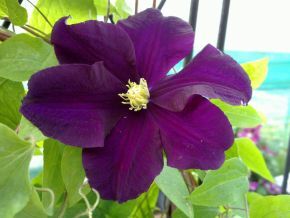 Brother Stefan has introduced some of the finest, and most garden-worthy, large-flowered clematis available today. ‘Karydynal Wysynski’ (‘Cardinal Wyzsinski’), ‘Warszawska Nike’ (‘Warsaw Nike’), ‘Jan Pawell II’ (‘John Paul II’), ‘Blekitny Aniol’ (‘Blue Angel’), ‘Baltyk’ (‘Baltic’), ‘Westerplatte’, ‘Monte Cassino’, ‘Kacper’ (‘Casper’) and, of course, the enormously popular ‘Polish Spirit’, have all been raised by him. Others, which are not so well known, include ‘Syrena’, ‘Matka Siedlisza’, ‘Dorota’, ‘Dominika’ and ‘Emilia Plater’. This roll call is even more impressive considering that, until 14 years ago, Poland had a Communist government, freedoms were restricted and western contacts discouraged. But the names reflect how fiercely the Polish flame of patriotism burned even in the darkest days. ‘Cardinal Wyszinski’, for example, was Primate of Warsaw from 1948, and imprisoned for three years by the Communists, while ‘Warsaw Nike’ is named after a mythological winged goddess of victory, depicted on the Heroes of Warsaw 1939-45 monument in the centre of the city. ‘Emilia Plater’ was a heroine of the Polish uprising against the Russians in 1830, while ‘Jan Pawel II’ is named after the most admired Pole of our times. Brother Stefan was born into a large farming family in Jeziorna, centralsouthern Poland, and graduated from agricultural college in 1946. After a couple of years conducting agricultural training courses he became a monk. At the Jesuit College on Rakowiecka Street, in suburban Warsaw, he was made responsible for the 1.5 hectare kitchen garden. The college subsequently converted the kitchen garden into an ornamental one and opened it to the public. Brother Stefan turned to decorative plants, in particular clematis, tall bearded irises and hemerocallis. 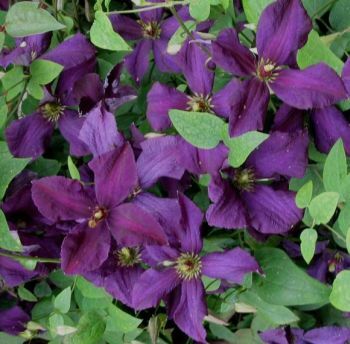 The garden is on a heavy clay, but he succeeded in growing clematis by digging deep trenches then filling them with compost, good soil and peat. In time, the garden became famous in Poland, and is still open to the public on weekdays. Eventually, in the 1980s, the Polish government allowed a Jesuit church to be built on the site. Brother Stefan was left with about an acre of garden which, despite the drab surroundings, has great charm, a tranquil atmosphere and, when I saw it in late May, wonderful colour, thanks mainly to the North American irises. 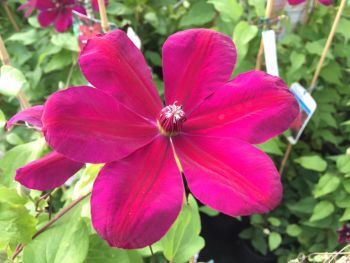 Jim Fisk was the first grower to introduce Brother Stefan’s clematis to this country, when ‘Jan Pawel II’was shown at Chelsea in 1982. It became enormously popular. About 50 of Brother Stefan’s clematis are now in commercial cultivation, and more than 100 seedlings are under observation in frames in the garden. Many of his most successful introductions are not the result of specific crosses but are either self-sown seedlings or from collected seed. The seedlings are planted in different situations, recorded and watched for 10 years or so before they are sent out into the world. In that time they show their strengths, in particular their hardiness. The most important factor for him is beauty of flower, which includes size, colour, form and profusion. His favourite, he says, is ‘Kacpar’, named after one of the Magi. It is healthy and vigorous with exceptionally large, deep violet-blue flowers from June until September, and large seedheads. 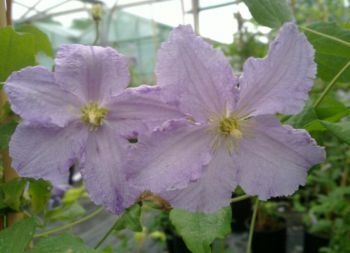 ‘Polish Spirit’ with smaller purple-blue flowers that are borne freely over a long period, was named and launched by Raymond Evisan and won an AGM . ‘Warszawska Nike’, which is a gorgeous velvety red-purple with striking goldenyellow stamens, is equally lovely. ‘Emilia Plater’ is a delightful viticella cultivar with mid-blue/violet tepals that have a darker central bar, and creamy-green anthers. 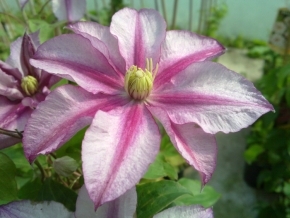 In 2002, this won the Certificate of Merit from the British Clematis Society. So well-known is Brother Stefan abroad and so international the appeal of his clematis, that, when the garden was under threat this spring, enthusiasts from Europe, the US and Japan came to the rescue. Szczepan Marcynski, a great friend and supporter of the monk, who owns the largest clematis nursery in Poland and who has introduced many of Brother Stefan’s clematis to the international scene in the past 15 years, alerted clematarians to a plan by the Theological College to reduce and simplify the garden and to move Brother Stefan. The Jesuit authorities were persuaded to think again. But, in truth, Brother Stefan is now 86 and the garden will have to be halved in size by September. 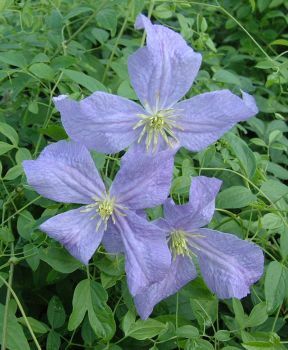 However, he will continue to work and Marcynski hopes to ensure that Brother Stefan’s clematis remain in the garden in perpetuity as a reminder of his achievements.